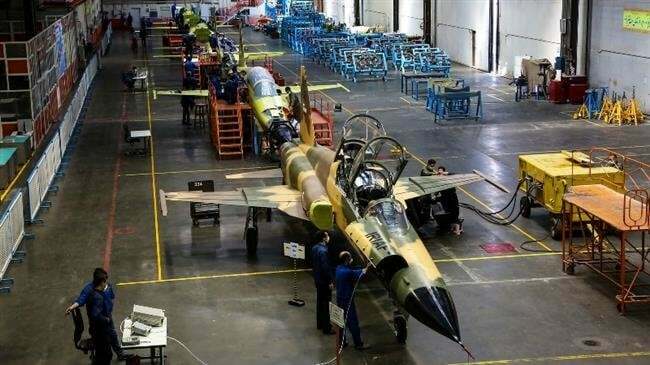 Iran has launched the mass production of a fourth-generation all-indigenous interceptor jet in a major step toward the renovation of its Air Force. Defense Minister Brigadier-General Amir Hatami presided over a ceremony to inaugurate the production line of the Kowsar fighter jet at Iran Aircraft Manufacturing Industrial Company in Isfahan Province on Saturday. “Soon the needed number of this plane will be produced and put at the service of the Air Force,” he said. The aircraft, which has been designed to provide logistical support for ground operations, boasts advanced maneuvering capability and can be fitted with various projectiles. It enjoys integrated design, an avionic and fire control system linked with digital military data network, a ballistic calculations computer system, head-up display (HUD), which focuses visual data in front of the pilot’s sight, a multi-purpose radar, and an independent radio navigation system. According to the Defense Ministry’s Public Relations Department, the production of each Kowsar jet would save the country around $16.5 million. General Hatami described the project as “the height of the proficiency of Iran’s stalwart sons” in face of sanctions imposed by the enemy. “Today, we declare proudly that we spare no effort in obtaining peaceful defensive technologies to defend our national security, the values of the Islamic Revolution, and the boundaries of our country,” Hatami noted. “The enemies’ psychological warfare, propagandist blackmail, and economic sanctions” had no effect on the lively trend of advancing the country’s deterrent capabilities, the defense chief concluded.